Ratcliff is an evolutionary biologist. He studies how multicellular clusters form from single cells and how the clusters become sophisticated through evolution. His work has been featured in Quanta Magazine, Scientific American, New Scientist, and other science magazines. For a fun explanation of his work, which Ratcliff gave at the 2015 Atlanta Science Festival, watch this video. 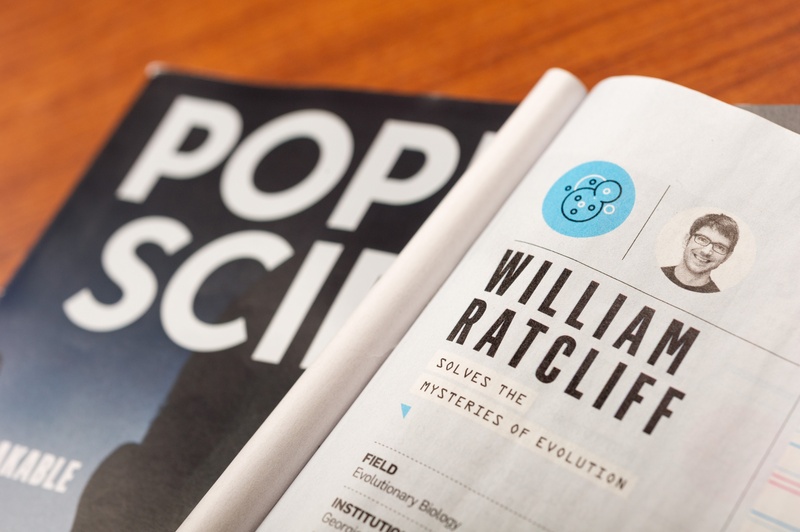 In the following Q&A, Ratcliff talks about his work, early love for biology, and more. Evolutionary biologists study how organisms change over time. My niche is understanding the origin of complex life, specifically how multicellular organisms can evolve from single cells. Multicellularity evolved on Earth many times for different groups, from slime molds to animals. This evolutionary step occurred long ago and has been hard to study, largely because biologists haven’t had good ‘hands on’ model systems of early multicellular organisms and their actual unicellular ancestors. In our lab, we do evolutionary time travel in a test tube, by creating new multicellular organisms, using yeast and algae, in a way that’s simple but which we can examine with huge precision, using all the tools of biology, as well as mathematics. We’re not trying to explain what happened historically. Rather, we’re trying to show how it can happen in principle. We want to understand how single-cell organisms evolve to form groups and how those groups evolve to become more complex. We’re interested in how the geometry of cellular clusters influences the outcome of evolution, tipping the balance between cellular cooperation and conflict, and how cells lose their Darwinian autonomy, evolving from individual organisms into parts of a new organism. These are fundamental principles that should be broadly applicable. What has been the most exciting time in your research life so far? Setting up a new lab in Georgia Tech is unquestionably the most exciting so far. When you start a new lab, you have this war chest of startup money. You can buy the lab equipment you could just dream of before. You have resources to blow the lid off the constraints you previously had. You can hire people to do cool stuff. It’s like winning a lottery. I would have had fun starting a lab anywhere, but unique to Tech is the collaborative opportunities I’ve had here. About a year after I started, I met Peter Yunker, a physicist who works with colloidal particles and soft matter. He had ideas for studying multicellularity through a physical lens that absolutely blew my mind. We now have students working together on projects, and my research has taken a totally new path. Also, Sam Brown was hired shortly after I arrived. Sam is a mathematical microbiologist. Working with Sam has opened lots of doors into integrating modeling more explicitly in our work. Over lunch a year and a half ago, Brian Hammer and I decided to do a project together, and now we have a paper in review examining the ecological and evolutionary consequences of ‘hand-to-hand’ combat – obviously bacteria don’t have hands, but it’s similar – in bacteria. Did you have early life experiences that paved the way for you to be where you are now? I’ve always thought of myself as a science geek and a biology nerd. My earliest memories are of playing with ladybugs swarming up a tree when I was two years old. I did a science fair project with yeast when I was six years old. I’m still working with yeast cells now. I’ve always been interested in the lives of living things. My parents played a huge role in fostering that interest. My brother and I grew up in Berkeley, Calif. I had a vegetable garden in the backyard, and my dad built me a greenhouse where I grew orchids. 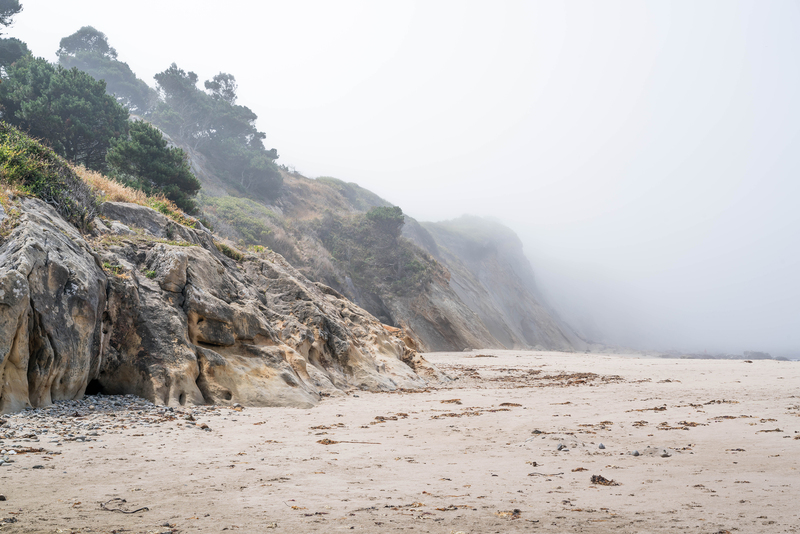 We also have family property on the coast near Mendocino, which my great-grandfather bought almost 100 years ago. As kids, we spent months at a time there, running around the woods, like Huck Finn and Tom Sawyer poking around the beach and hiking way up through the forest for hours at a time. We occupied ourselves by poking our noses into the workings of living organisms. We wondered how all these things were changing from day to day. How did they deal with changing weather? What were they eating? As my dad says, “Boredom is the crucible of creativity”, but I don’t really remember being bored. If you couldn’t be a scientist, what would you have done professionally? I had become an avid stock trader toward the end of high school. As a college freshman I had to choose between economics and biology. I decided to stick with biology, thinking it would be more fun. That was a good call. I’d also enjoy computer programing or big-data analytics. When I learned coding, it was almost like a drug. You can do so much, so fast, and writing code is like playing a 3D crossword puzzle. Had I learned it earlier, I wouldn’t have been a bench scientist. When you were thinking where to settle after your postdoc, why did you choose Tech? Partly, because Atlanta was a place my wife would move to. What really drew me to Tech was the abundance of supersmart, nerdy people. The average Tech undergrad knows how to code. Many of them want to become doctors, but they also know calculus and (the programming language) Python. I wanted to surround myself with bright people who are quantitative. Plus, it’s nice that the College of Sciences is so interdisciplinary, that our school values collaboration, and that campus is small enough that you run into people from far-flung disciplines. In your encounters with students at Tech, what has surprised you about them? They are so good! Their desire and ability to work hard, their interest in the material is way up – 75% of my students are as good as the top 10-15% of those I’ve taught previously. What about your job do you like the least? It’s the sheer number of different things we have to do as professors. Our time is split into so many little bins. I miss having that open space to think broadly and deeply about science. Everyone assumes that I’m laid back because I’m an outgoing person and pretty happy, but I’m usually running around at a half jog and trying to get a million things done. I like to play music – guitar and ukulele – to relax. I picked up the ukelele when my daughter was born because it’s smaller and quieter, and you can play it with a baby on your lap. I play a lot of bluegrass. I also garden and raise chickens; we harvest five eggs a day on average. What bit of wisdom would you like to share to incoming freshmen? I would tell them to study the things that they think are fun and cool and don’t be afraid to get their quantitative game on. Don’t shirk the math and programming because it’s going to be so valuable later. Definitely take classes because you think they’ll be cool because ultimately it’s your own interests that motivate and drive you. Also, find a lab early on if you’re interested in research. One of the main benefits of being at Tech is the opportunity to do primary research and interface with faculty, postdocs, and grad students. But this amazing opportunity comes only if you seek it. Find a lab you like in your first few years, and if you like it, by the end of school you’ll have a deep well of experience that you wouldn’t otherwise have, and you will have way more opportunities as a result. Nobody writes a better letter of recommendation than a professor who has known you for years! What places do you want to visit that you haven’t visited yet? Vietnam, because my wife’s family is out there and I haven’t been there yet. Cambodia would be really cool to see. I’d love to see an active volcano, any one of them! South Africa is another choice because it is a refuge for African plant diversity. I’m also an amateur photographer, and after getting more into night photography, I would love to visit somewhere where I could take great photos of the Milky Way without light pollution, like the Mojave Desert. With whom from history would you like to join for dinner? I know this is cliché, but I would love to meet Charles Darwin. He laid out so much of the field 150 years ago, and it would be fun to just blow his mind. I’d love to update him about how the field has developed, how generally well-supported his ideas are, and how cool the nitty-gritty mechanistic details of evolution are. Dinner might stretch on a bit late, though. Joshua S. Weitz, professor in the School of Biological Sciences, has written a postgraduate textbook which has been selected for the shortlist of the Royal Society of Biology's annual book awards. Francesca Storici, associate professor in the School of Biological Sciences and a researcher in the Petit Institute for Bioengineering and Bioscience, has been named a Howard Hughes Medical Institute (HHMI) Faculty Scholar. 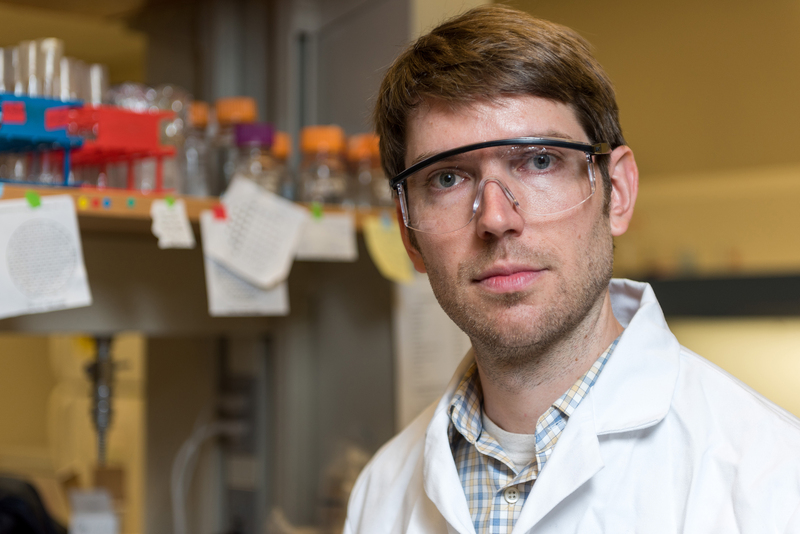 Storici is one of 84 scientists from 43 institutions across the U.S., in first cohort of researchers who are receiving this first-time award supported by HHMI, the Simons Foundation, and the Bill & Melinda Gates Foundation. Storici’s lab will receive $1.5 million over five years. The awards target early career scientists who have great potential to make unique contributions to their field, according to HHMI, who joined forces with the Simons and Gates foundations to create the program in response to growing concern about the significant challenges that early-career scientists face. The career trajectory for these researchers has become much less certain as competition for grant support intensifies. In the last two decades, the U.S. has witnessed a sharp decline in the success rate for National Institutes of Health (NIH) research awards, as well as a striking increase in the average age at which an investigator receives his or her first R01-equivalent grant. “Support for outstanding early-career scientists is essential for continued progress in science in future years,” notes Marian Carlson, the Simons Foundation’s director of life sciences. HHMI was concerned that the time-consuming (and often frustrating) quest for grant funding could sap the creativity and energy that researchers bring to starting their own labs. Within a few years of a new faculty appointment, a researcher's institutional start-up funds typically come to an end. Pressure to secure federal grant money may lead to “safe” grant proposals. As a result, creative and potentially transformative research projects may fall by the wayside. “This program will provide these scientists with much needed flexible resources so they can follow their best research ideas,” says HHMI Vice President and Chief Scientific Officer David Clapham. The Storici lab’s research focuses on ribonucleotides embedded in DNA; RNA-driven DNA repair and modification; mechanisms of genomic stability/instability; and gene targeting and genome editing. The Storici lab’s research focuses on RNA-driven DNA repair and modification; function and consequences of ribonucleotides embedded in DNA; mechanisms of genomic stability/instability; and gene targeting and genome editing. Storici is considered a pioneer in the emerging field of RNA-mediated genome stability and instability. Her research led to the discovery of transcript RNA-templated DNA repair and recombination. The Storici group also has developed new tools to better understand the genetic and epigenetic consequences of the presence of RNA in DNA. The HHMI award is just the latest in a string of recent successes for Storici. 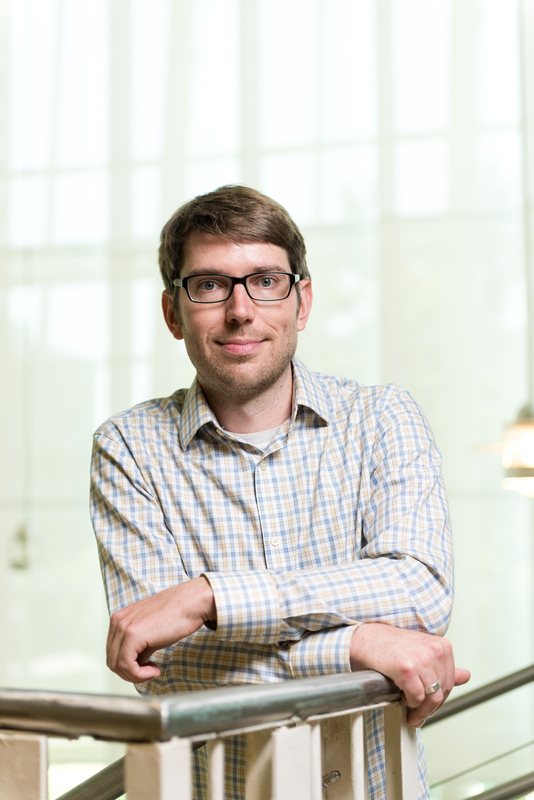 In August came two major announcements: a three-year grant from the National Science Foundation to gain new insight into the impact or RNA on genome maintenance, and a five-year, $1.4 million grant from the NIH supporting a collaborative effort with the lab of fellow Petit Institute researcher Fred Vannberg (assistant professor in the School of Biological Sciences) as well as the University of Udine in Italy. Early-career researchers (four to 10 years of faculty experience) were eligible to apply for this competition. Distinguished scientists reviewed and evaluated more than 1,400 applicants on their potential for significant research productivity and originality, as judged by their doctoral and postdoctoral work, results from their independent research program, and their future research plans. Expenses covered by the grant will include partial salary for faculty, salary for lab personnel, equipment, supplies, travel and publications. Emeritus Professor Gerald (Jerry) Pullman was awarded a lifetime achievement award for outstanding contributions in somatic embryogenesis and other vegetative propagation technologies by the Fourth International Conference of the International Union of Forest Research Organizations focused on Somatic Embryogenesis and Other Vegetative Propagation Technologies held in September 2016 in Buenos Aires, Argentina. Dr. Gerald Pullman, Emeritus Professor in the School of Biology, was recognized for his outstanding contributions and scientific endeavors in the vegetative propagation of trees, especially somatic embryogenesis in conifer species. The lifetime achievement award was presented at the Fourth International Conference of the International Union of Forest Research Organizations (IUFRO Unit 2.09.02) held September 19-23 in La Plata, Buenos Aires, Argentina. The conference participants gathered to discuss “Development and application of vegetative propagation technologies in plantation forestry to cope with a changing climate and environment”. 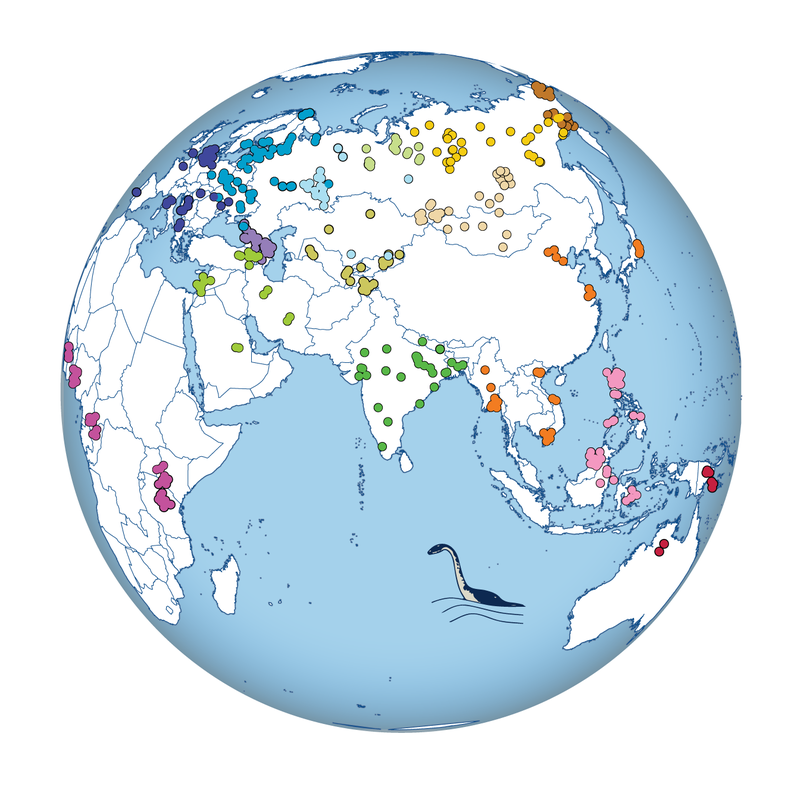 The membership of the unit currently includes 742 scientists from 341 affiliations and 65 countries. As demands for forest products grow and the land base to produce trees shrinks, it will become necessary to produce trees that produce more wood and fiber per acre, with improved wood and fiber properties. Clonal propagation of trees with desired growth and processing characteristics will facilitate this goal. Jerry’s research interests for the past 35 years have been in the areas of multiplication of high-value trees through somatic embryogenesis, understanding the fundamental physical and chemical factors driving natural plant embryo development, creation of tissue culture systems necessary for the genetic engineering of forest trees and methods to propagate and conserve rare and endangered Southeastern plants. Jerry has over 120 publications with 55 focused in the field of somatic embryogenesis and additional publications on understanding seed conditions occurring during natural embryo development, vegetative propagation of forest trees, and conservation of endangered species through tissue culture and cryogenic storage. Jerry continues to lead a small tissue culture program at the Georgia Tech Renewable Bioproducts Institute focused on conifer somatic embryogenesis and conservation of rare and endangered species in the Southeast. The research on rare and endangered plants is in partnership with the Atlanta Botanical Garden and often works with School of Biology undergraduate students. Joshua Weitz, professor in the School of Biological Sciences, discusses his study on selfishness with Georgia Public Broadcasting presenters. Ever think about discovering artifacts à la Indiana Jones? You have one final chance to be a fossil hunter this semester: on Wednesday, Nov. 30, 2016, when Jenny L. McGuire opens her lab to all comers to search for fossils in rock samples. Although you will not have to flee from massive boulders or fight off Nazis, you can still become an explorer of the past. At 3-5 PM, amid the electronic white noise that washes over Georgia Tech, you will be transported to a faraway dig site and engage in simple but enthralling discovery. An independent research scientist in the School of Biological Sciences, McGuire has hosted Fossil Wednesdays all semester. To see what goes on, I visited the lab and got my hands dirty. I grabbed a pair of tweezers, scooped a pile of light-colored gravel, and searched for fossils. Fortunately for amateurs, the fossils were distinctly darker than gravel, and I could see bone fragments. Some were easy to identify: Vertebrae were pointy; intact lizard bones looked like they fell out of a game of Operation. Others were bone shards, unidentifiable bits and bobs. During the two hours, people popped in, sifted through a few handfuls of gravel, and grabbed a snack on the way out. Small conversations bubbled throughout the room, but most of the fossil hunters were quietly focused on the work as McGuire helped participants identify specimens. 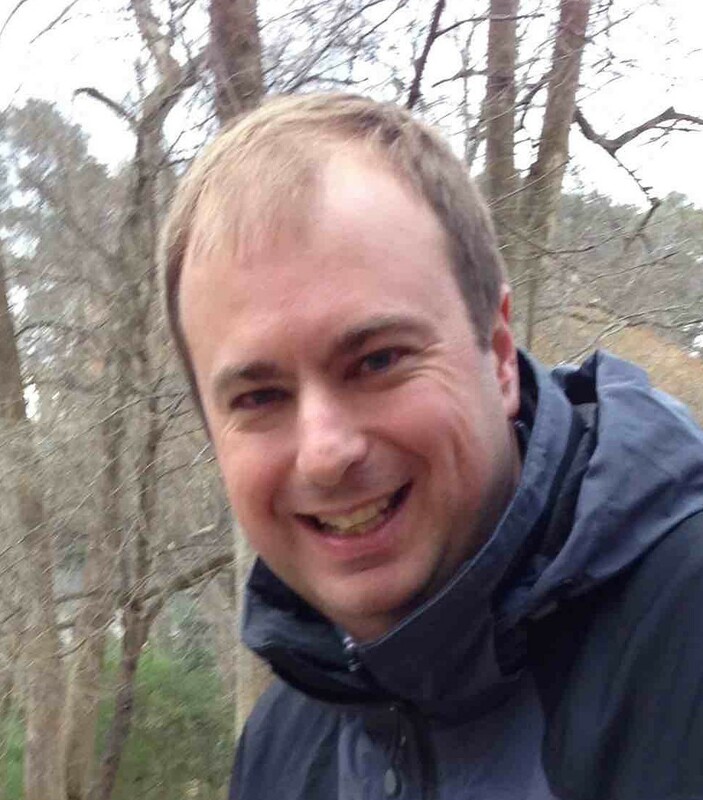 In attendance that week was School of Biological Sciences Associate Professor Sam Brown. He came with his daughters Chloe, 8, and Lily, 5. The two showed remarkable flair for finding fossils, some of which were so small they looked like specks of dust unless viewed under a microscope. “They loved the whole adventure and keep asking me when we can come back” Brown said. “I told my class that I found an arm bone and a spine bone,” Lily said. McGuire collected the material for Fossil Wednesdays from Natural Trap Cave, in Wyoming. The site is exquisite, she said: “Inside the cave, it’s 40 degrees year-round, so everything preserves beautifully; it’s a refrigerator.” Because the cave has layers of fossils that span from 30,000 years old to 4,000 years old, McGuire can look at how a community changes across a vast time period. The McGuire lab is asking what types of species filled ecological niches after extinction events and how long it took population structures to normalize after a major transition. Similar extinctions of large mammals are occurring today in Africa and South Asia, she said. 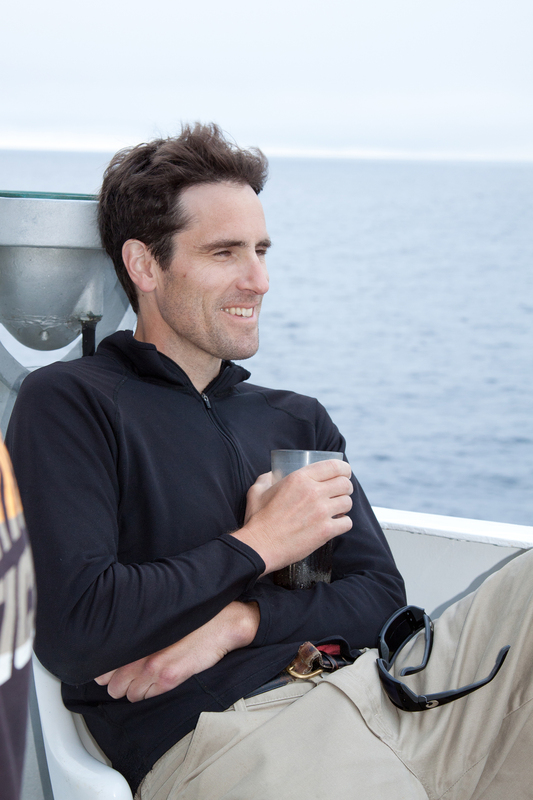 McGuire is using the data to determine what to expect not only from specific extinctions, but also from major ecological disruptions occurring worldwide. This miniature fossil hunt is both relaxing and engaging, a puzzle with a higher purpose. If you’re around this Wednesday and want to have a unique science experience, head to the Cherry Emerson Building, room 326, and get digging for some bones. Sam Brown and his eagle-eyed daughters on a family fossil hunt. Photo by Nathanael Levinson.